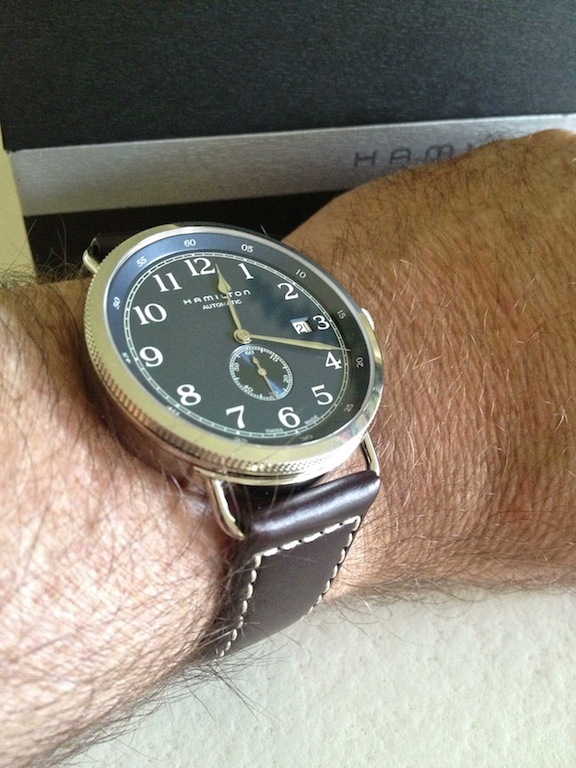 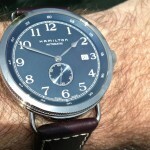 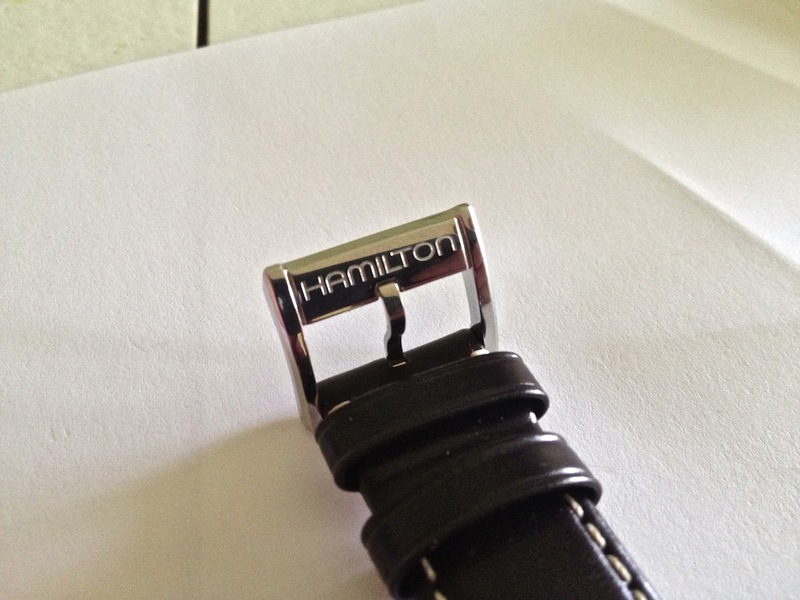 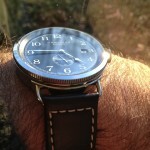 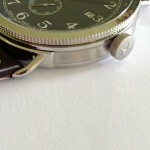 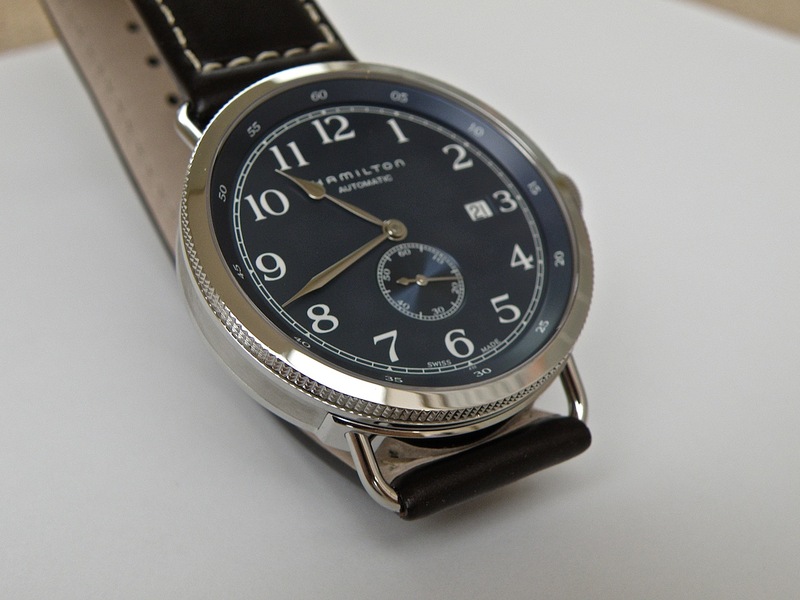 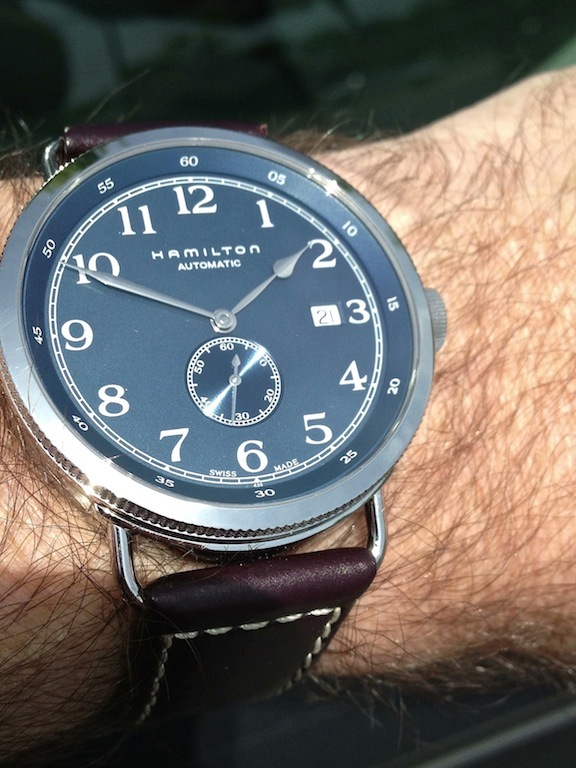 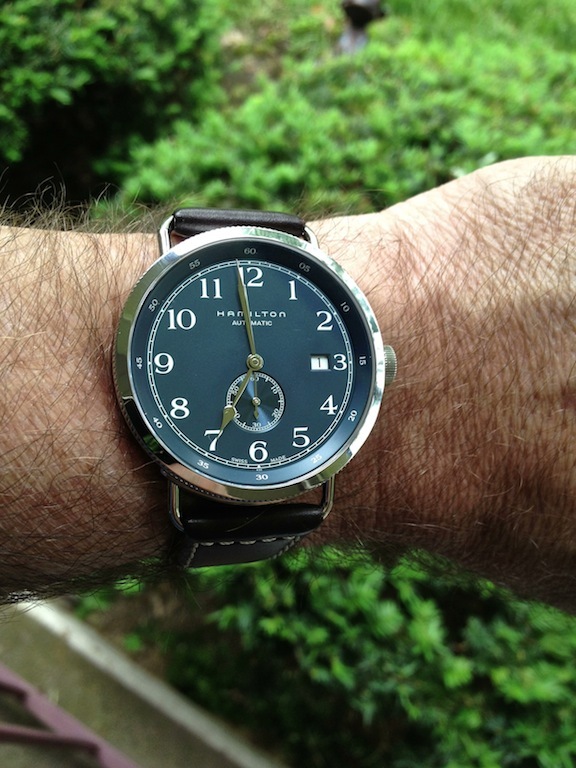 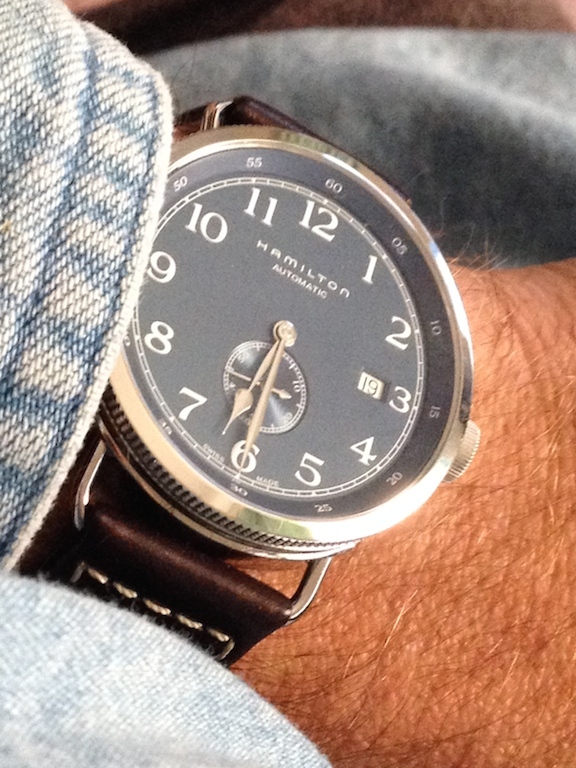 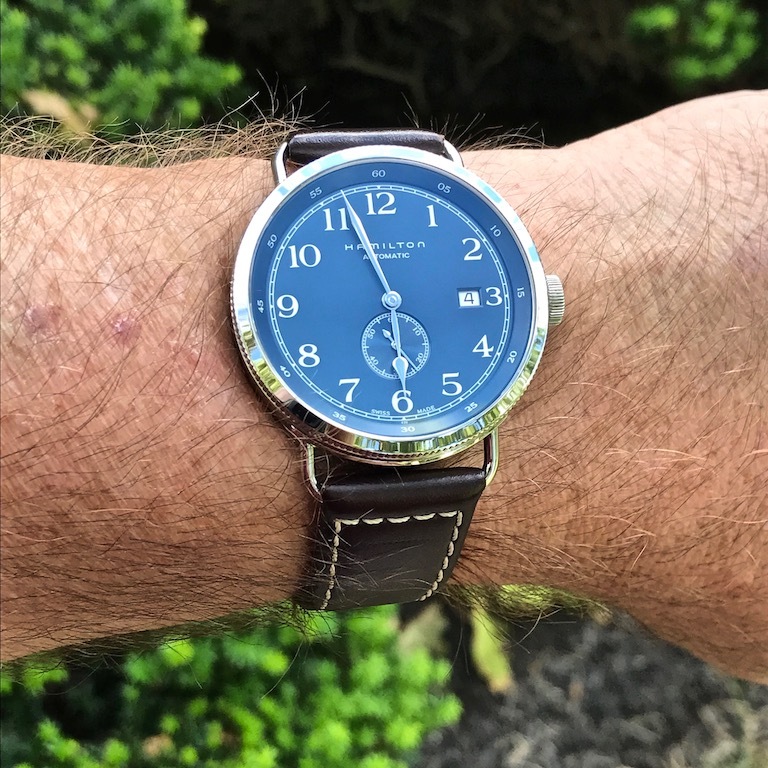 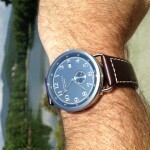 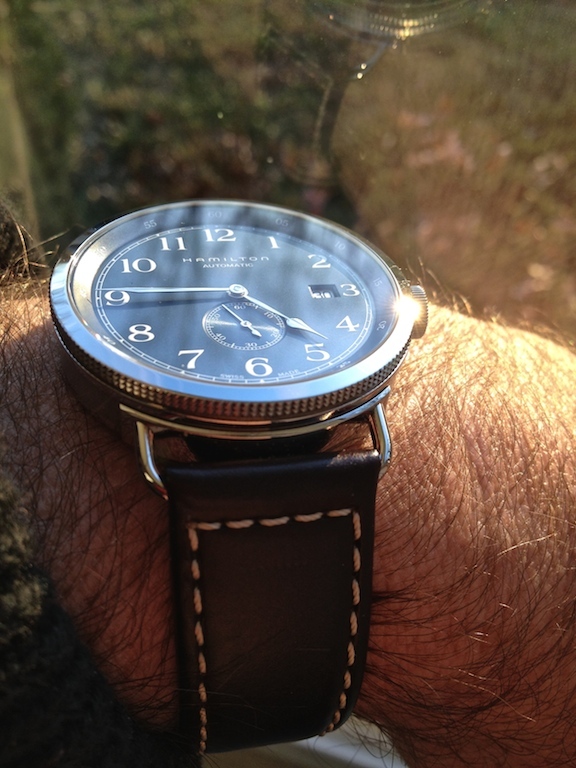 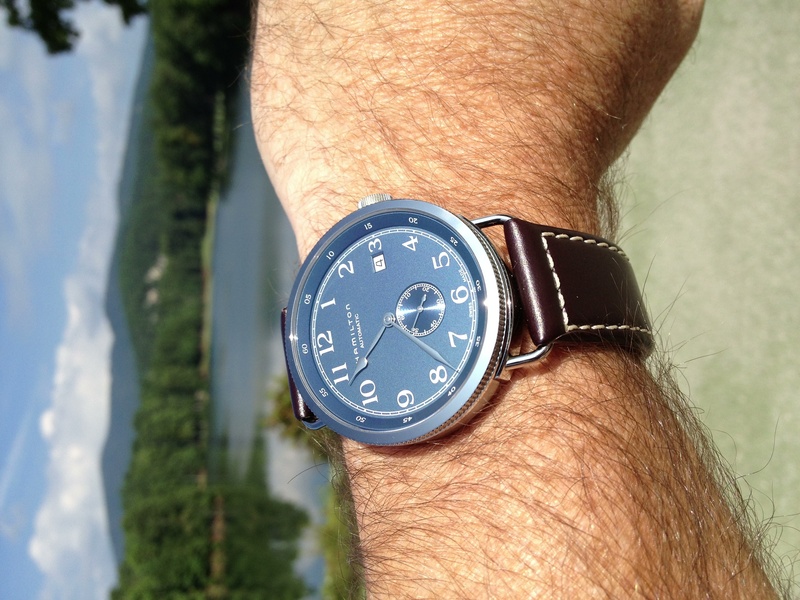 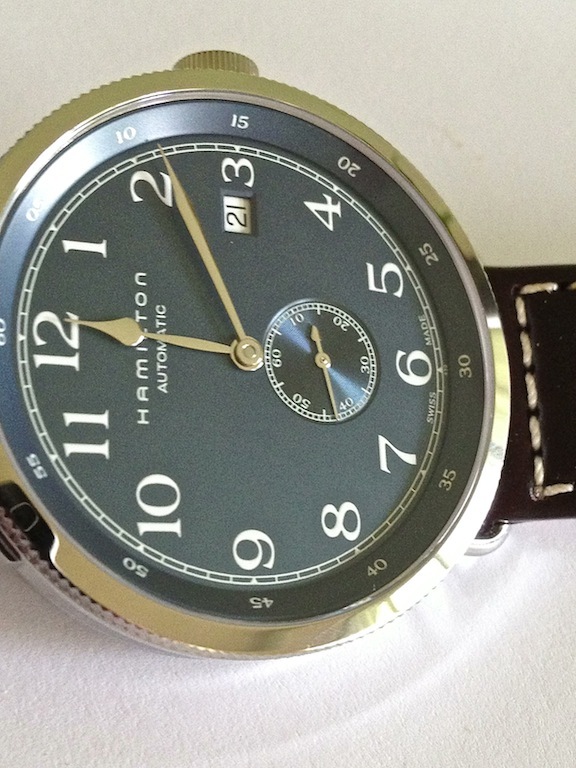 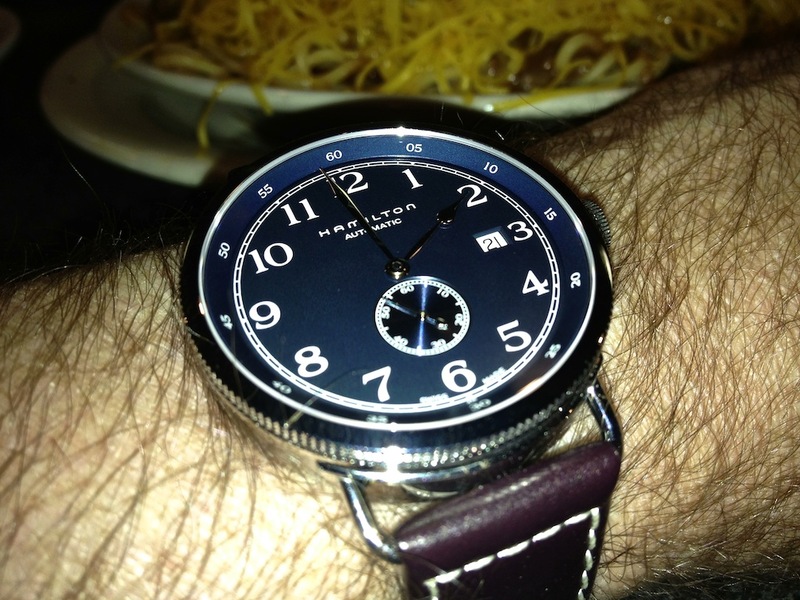 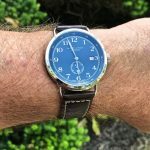 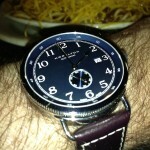 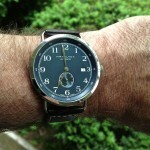 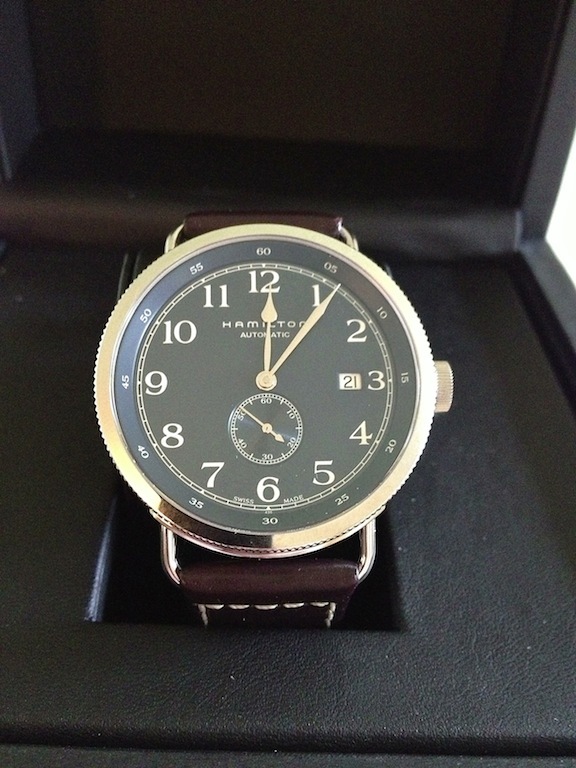 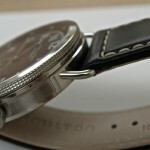 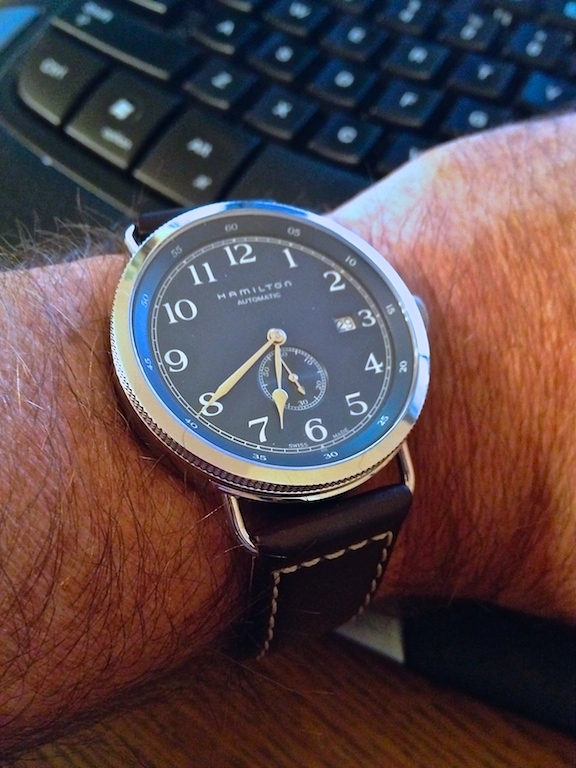 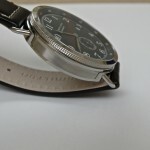 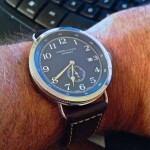 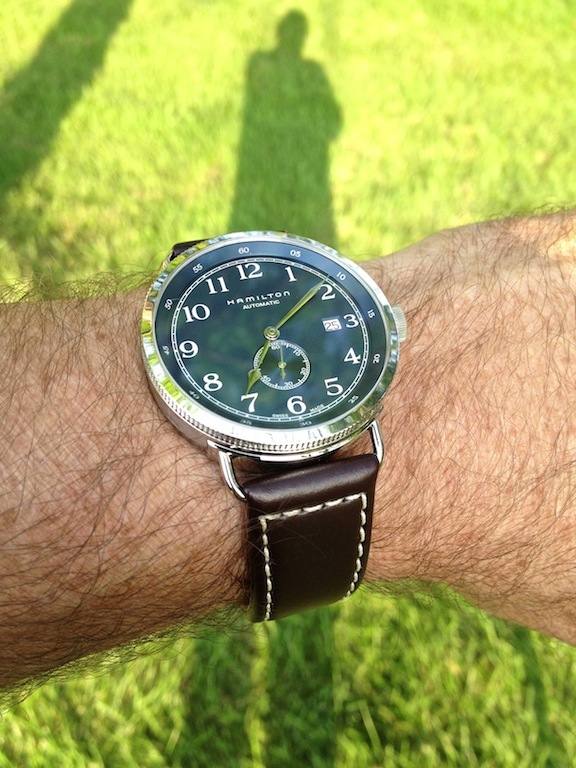 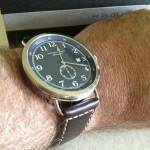 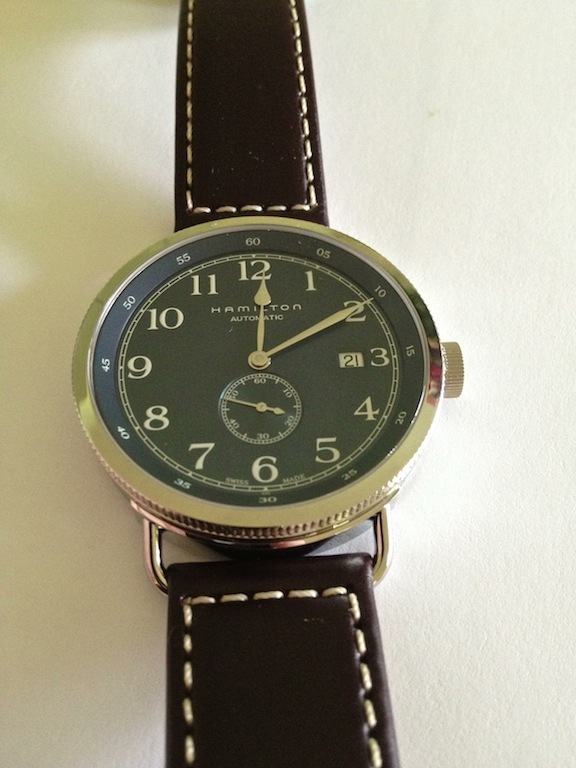 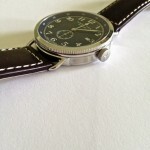 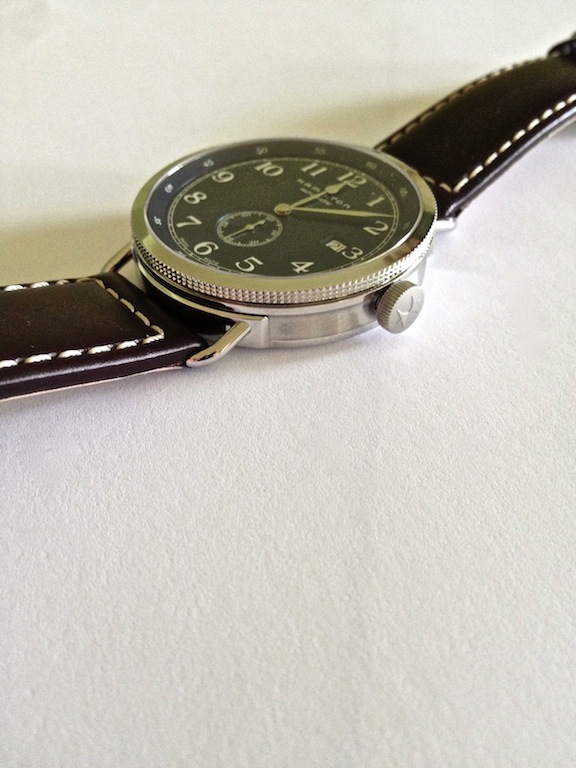 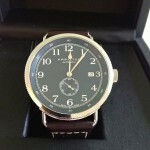 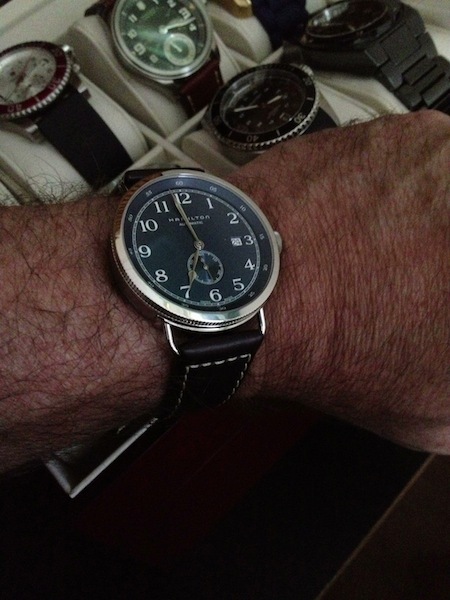 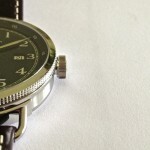 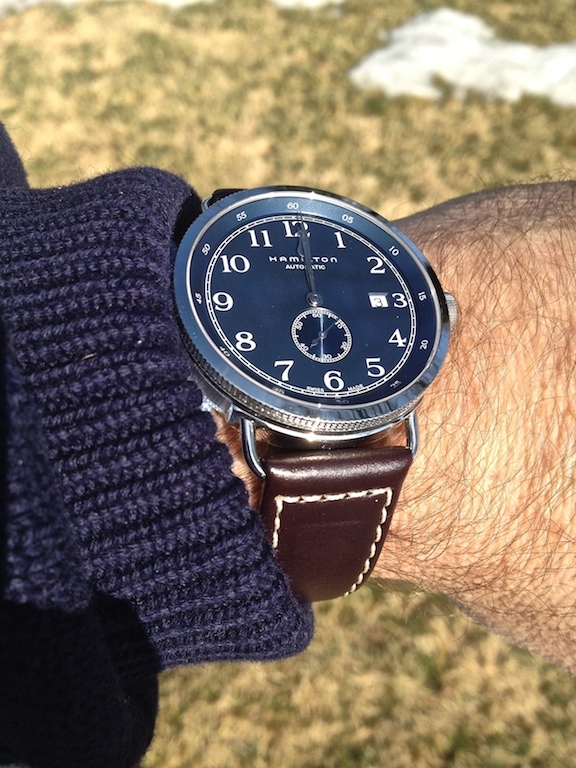 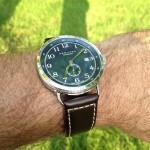 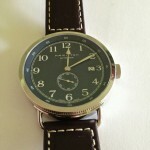 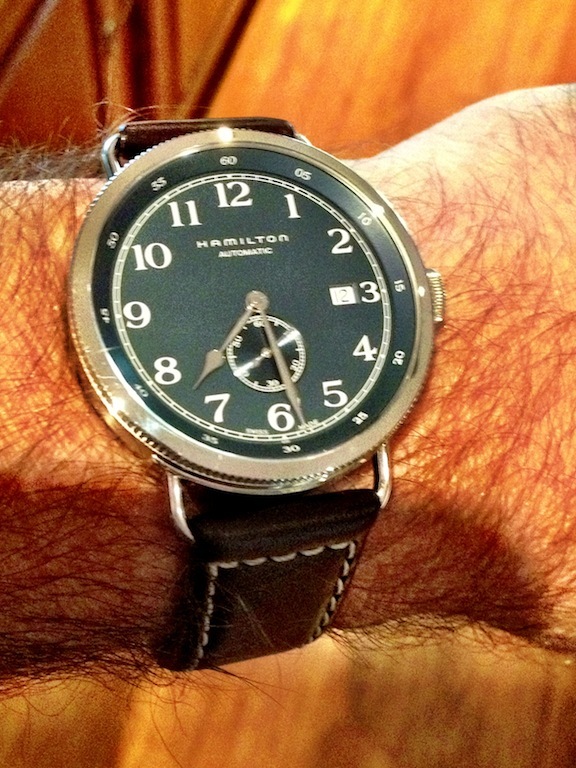 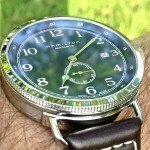 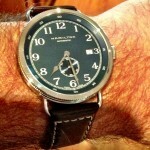 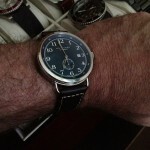 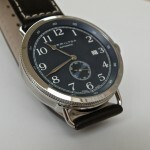 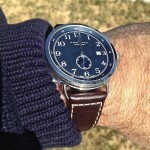 Hamilton Navy Pioneer | Grumpyguy Inc. 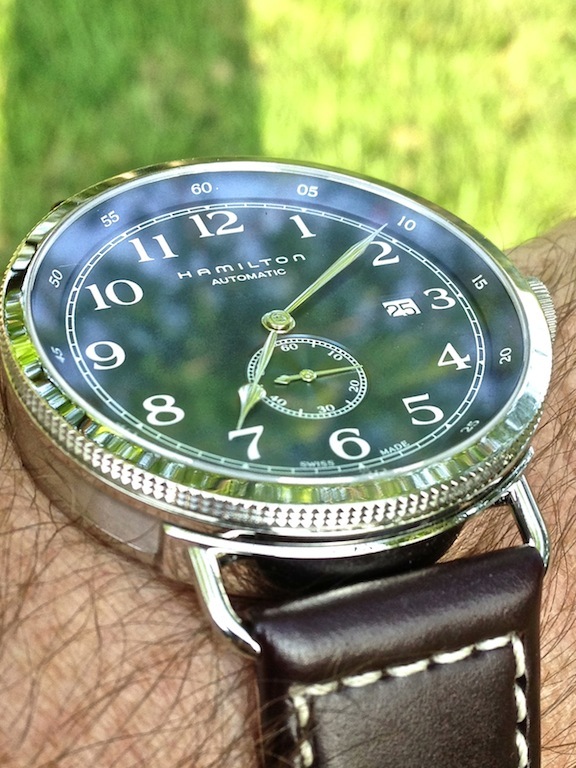 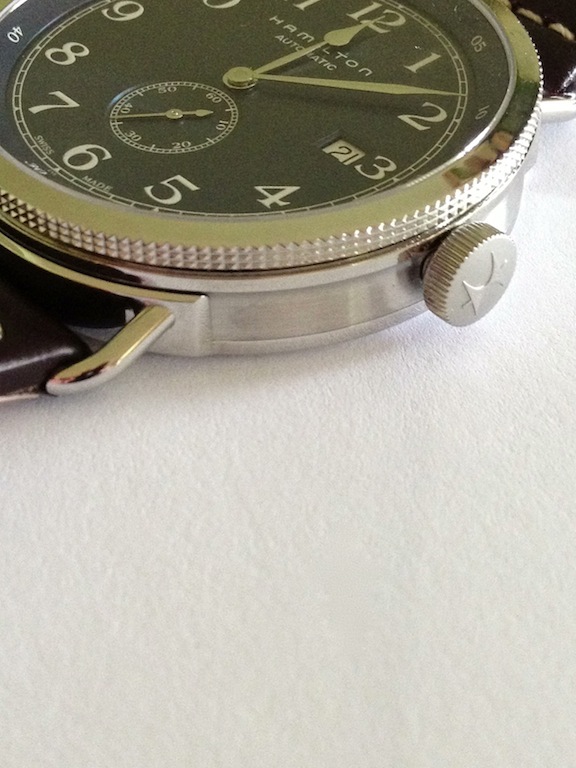 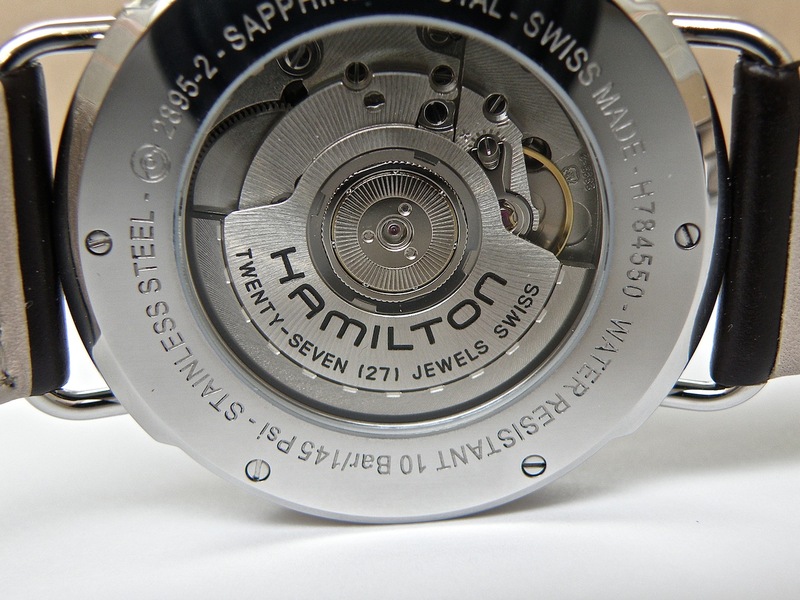 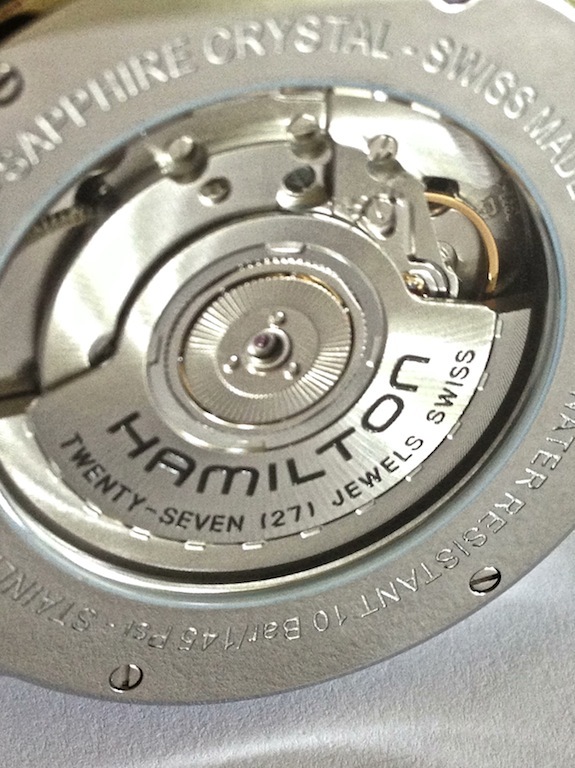 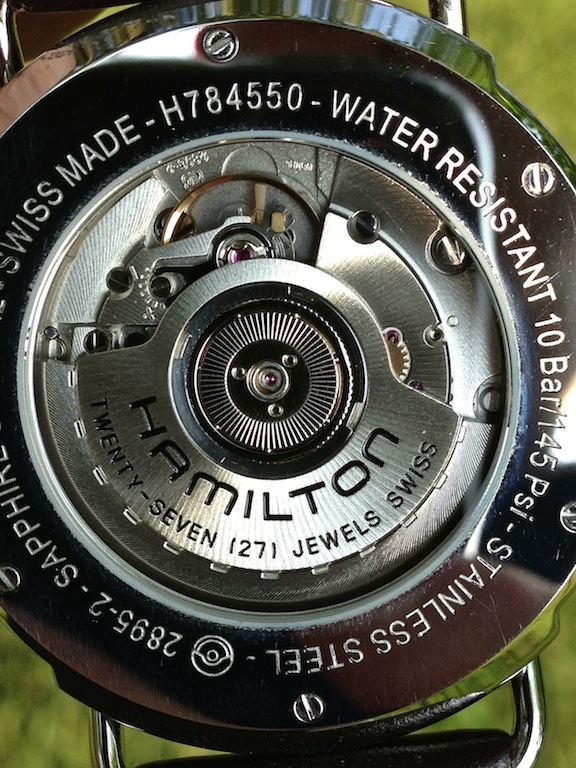 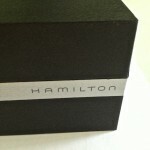 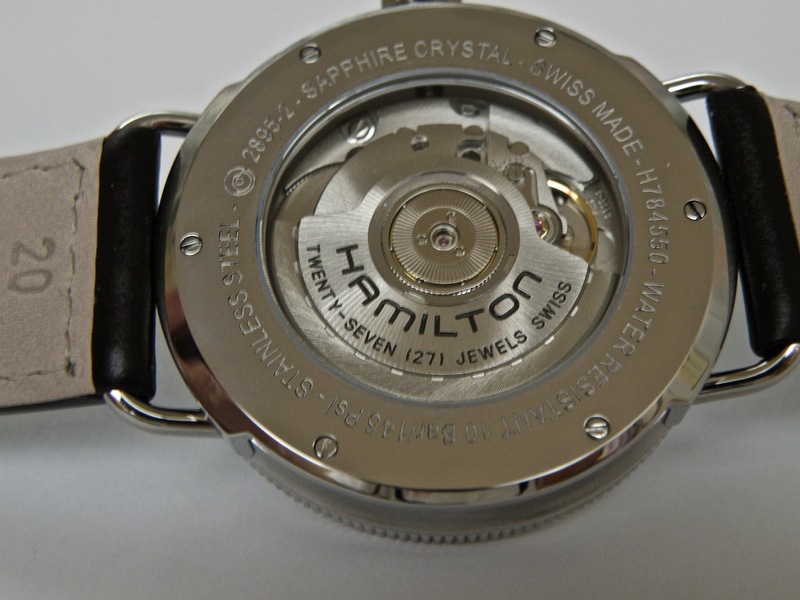 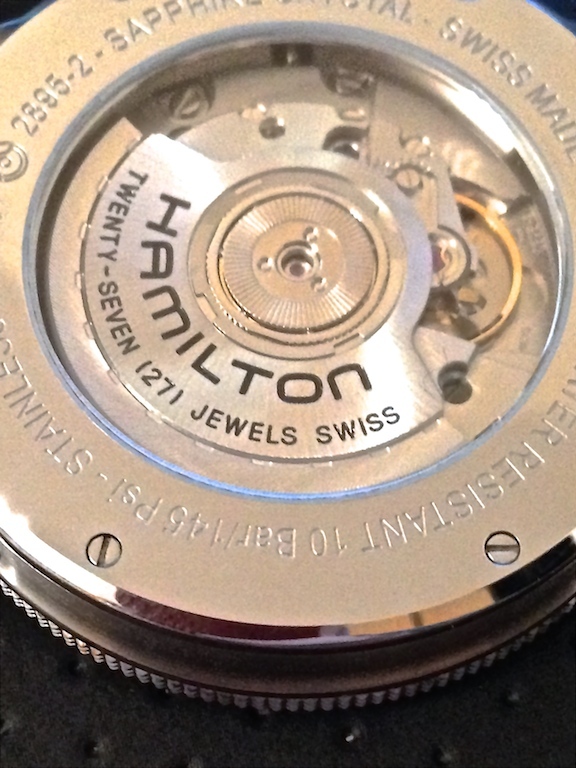 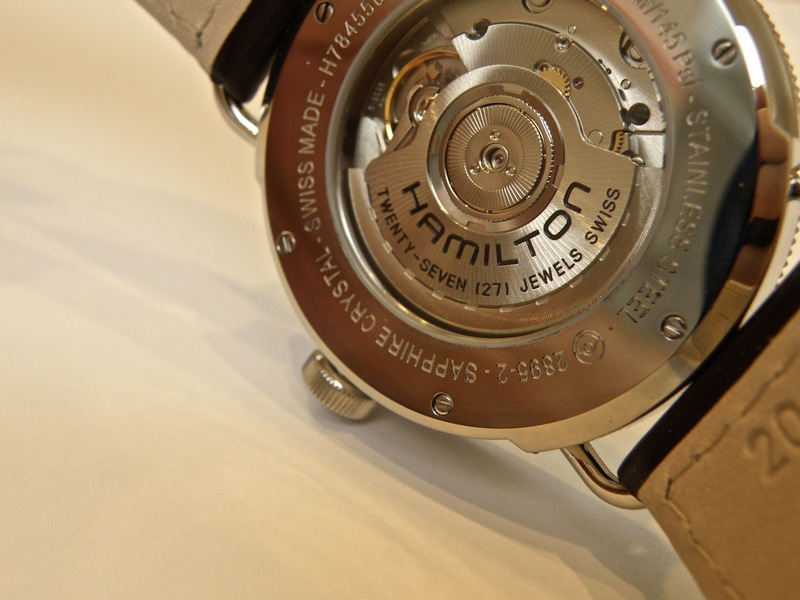 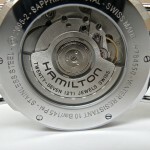 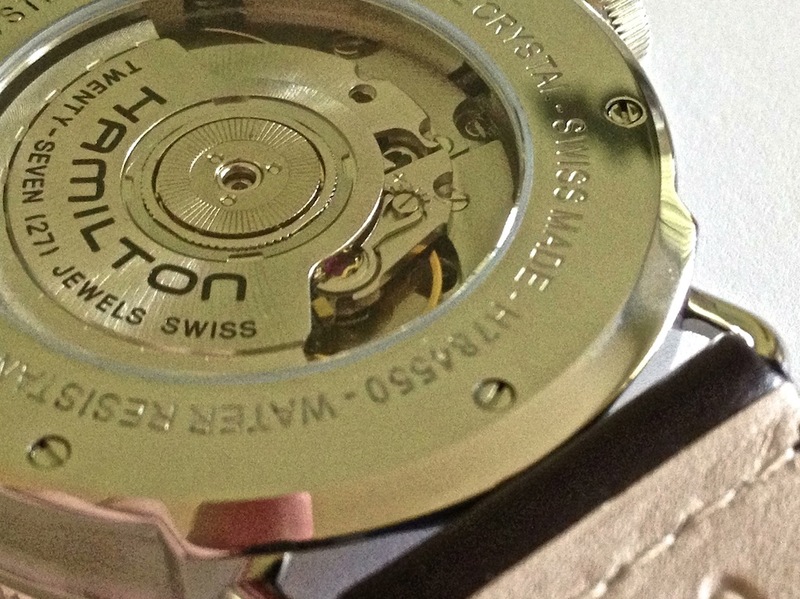 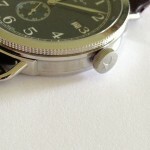 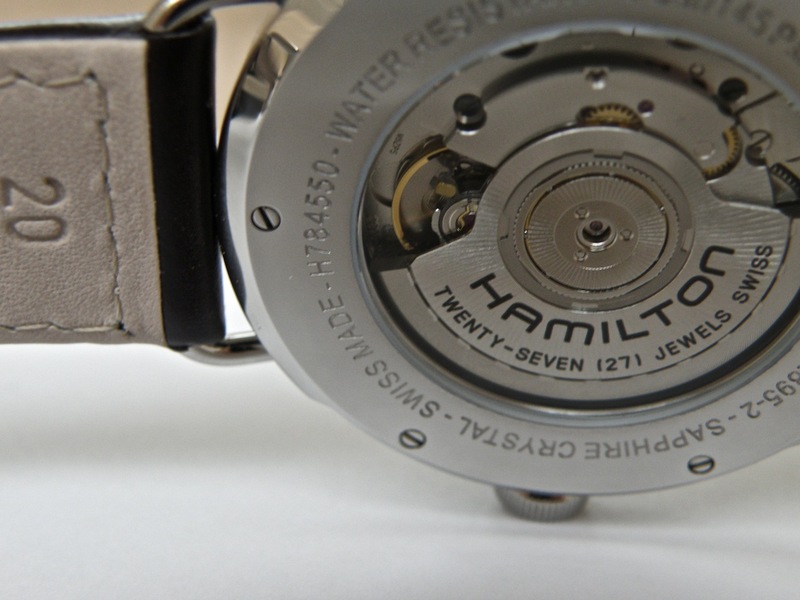 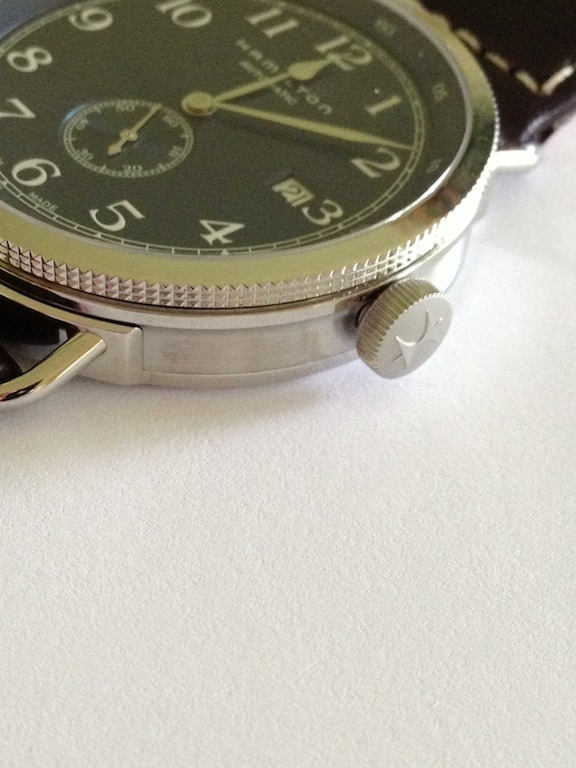 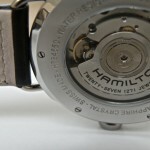 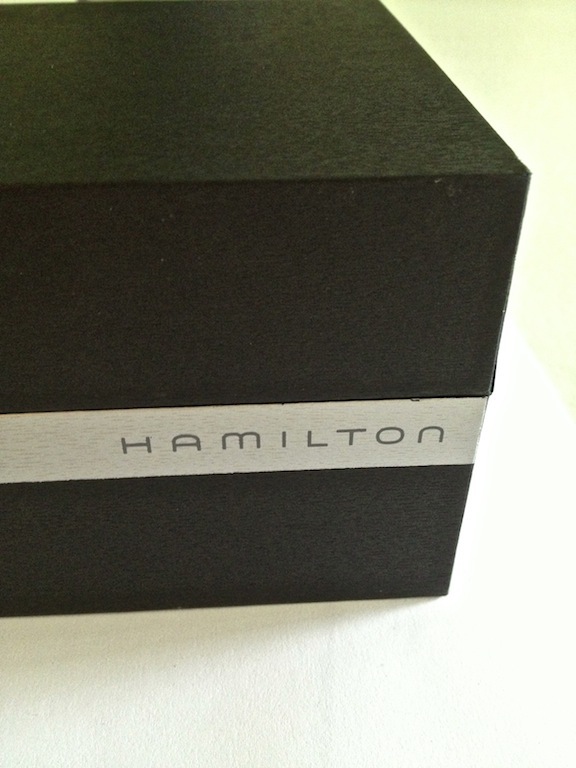 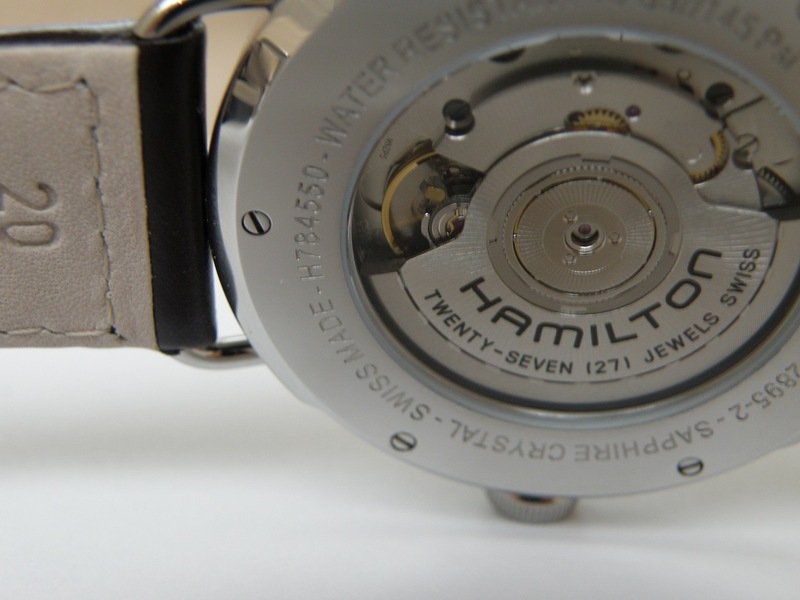 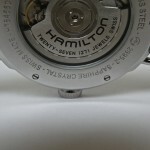 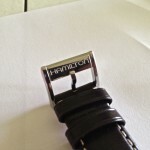 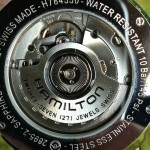 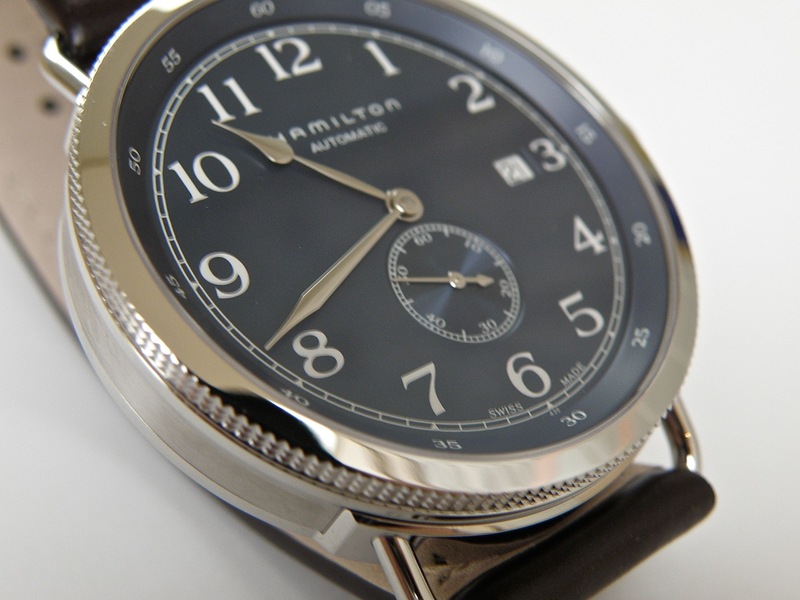 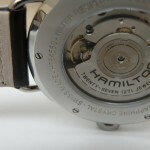 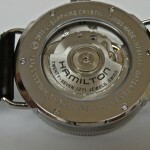 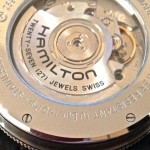 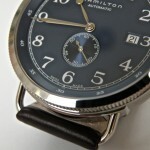 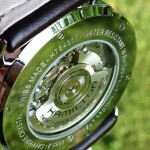 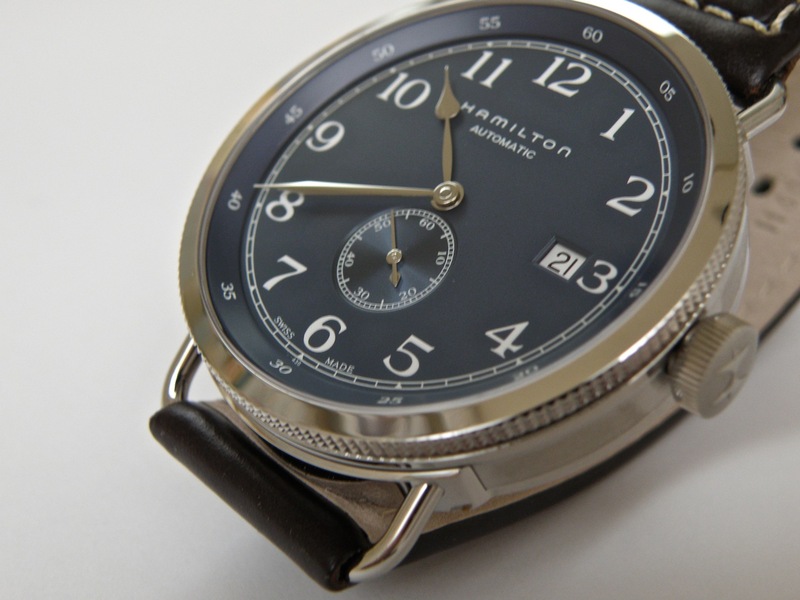 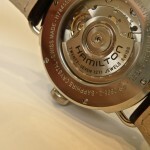 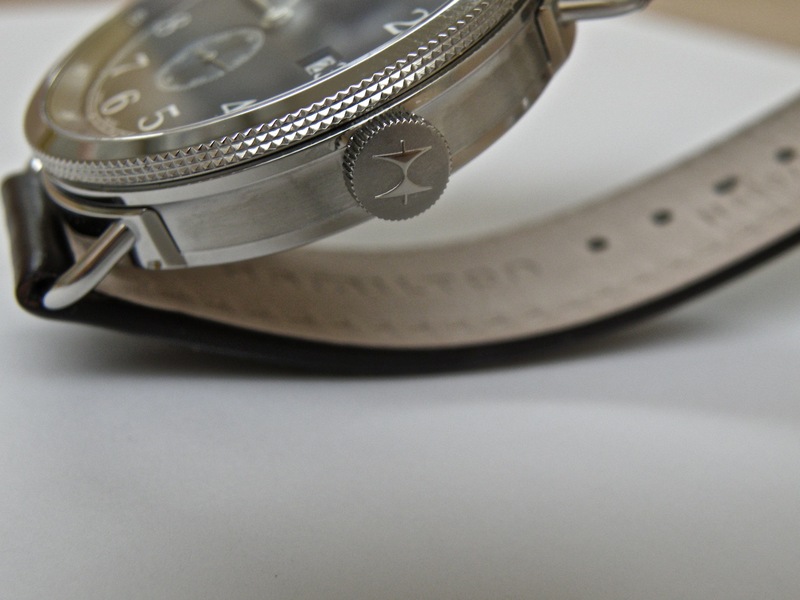 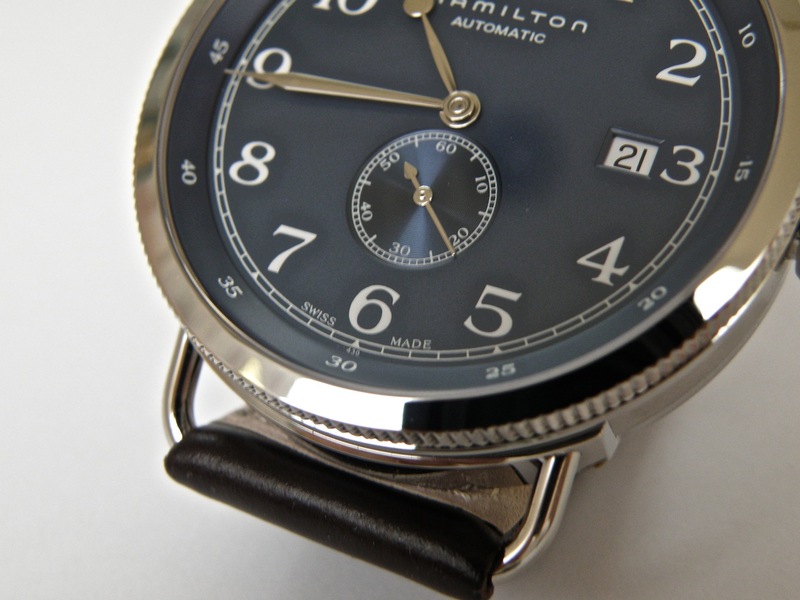 The Hamilton Navy Pioneer H78465553 uses the ETA 2895-2 movement which has 27 jewels. 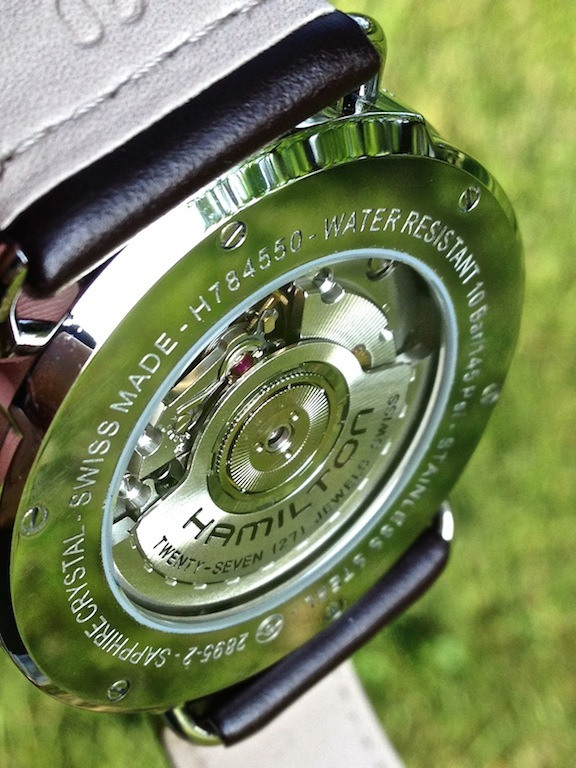 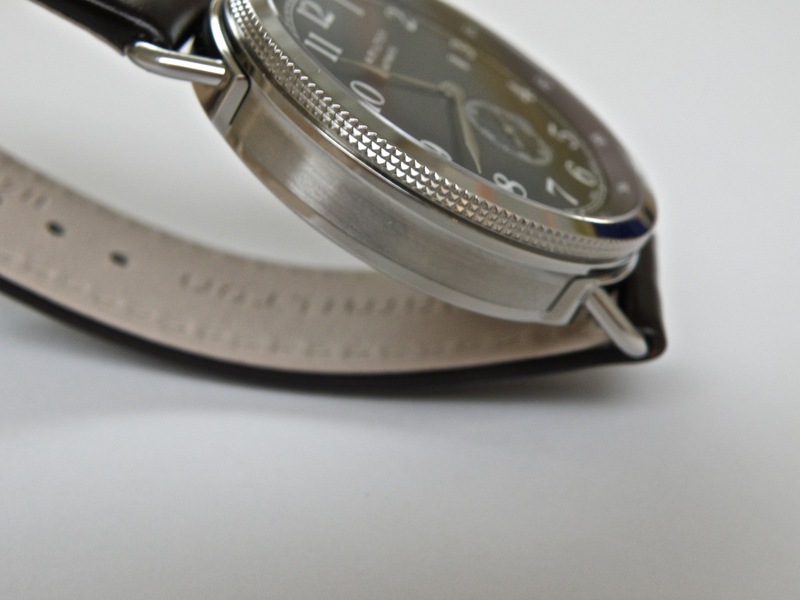 The watch is 40MM, with 20mm lugs, water resistance to 328 ft and an anti-reflective sapphire crystal. 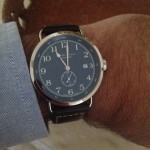 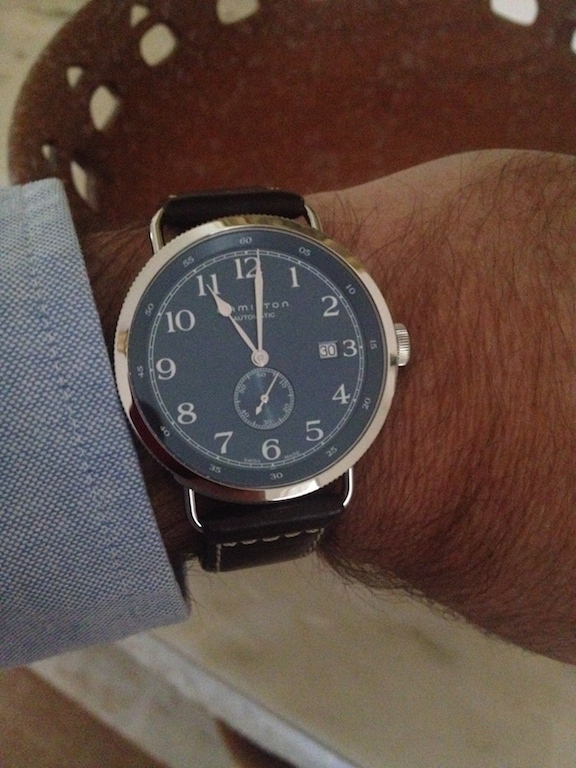 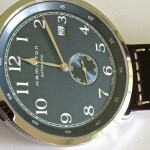 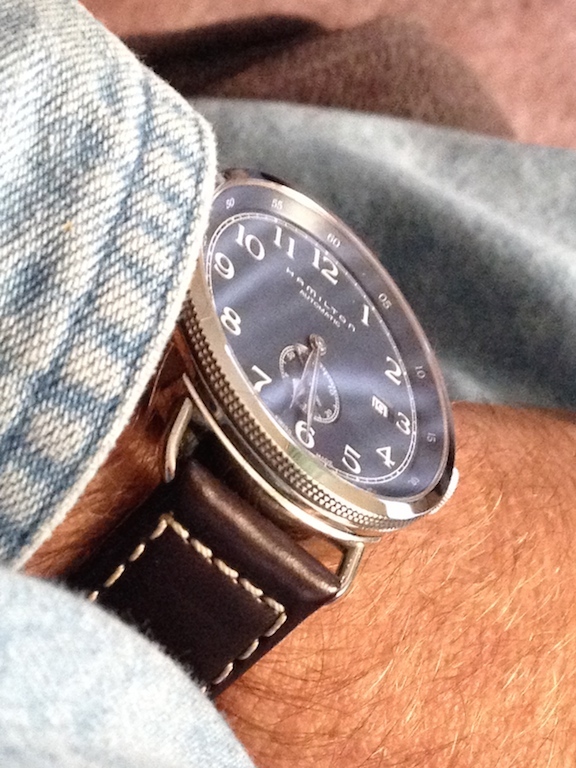 The dial is finished in a “velvety” gun metal blue finish, with the seconds dial treated with concentric rings. 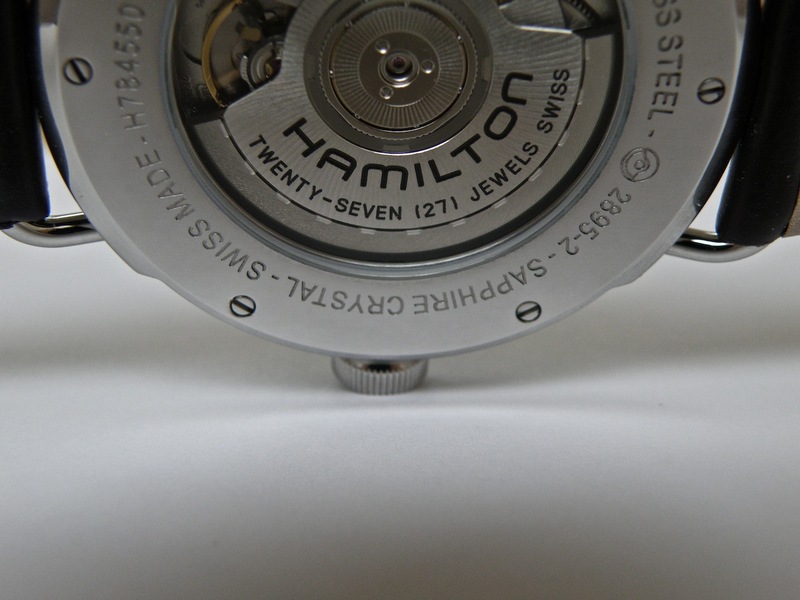 The hands are long and highly polished. 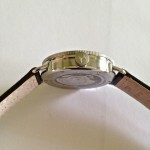 The bezel is decorated with a geometric pattern. 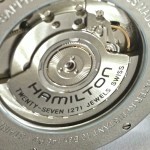 Overall, the watch is a homage to early Hamilton’s, which is exemplified by the strap lugs, simple dial, and classic hands. 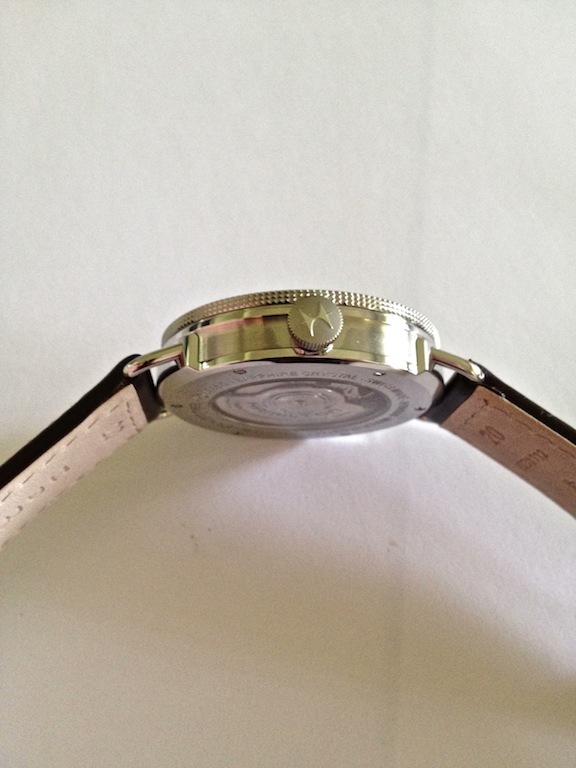 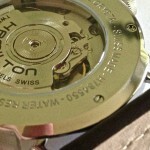 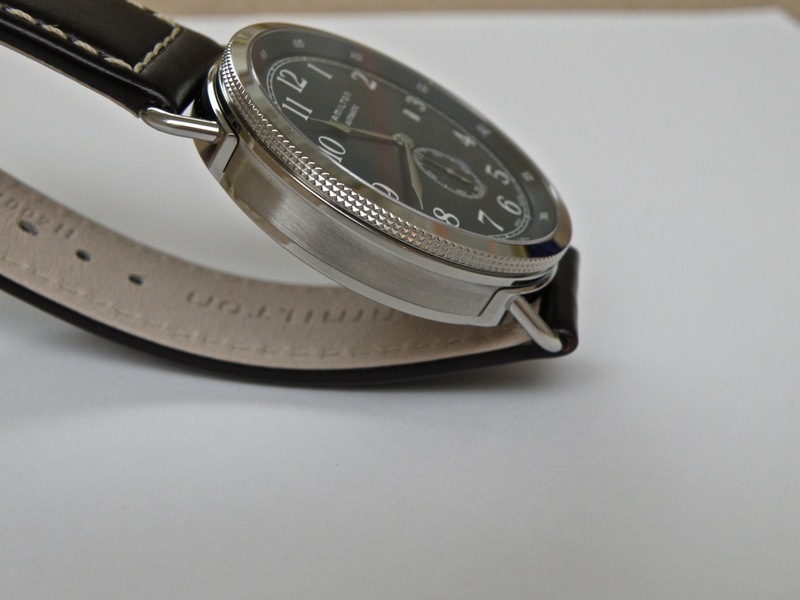 The on the back, the see through case shows off the decorated ETA 2895 movement. 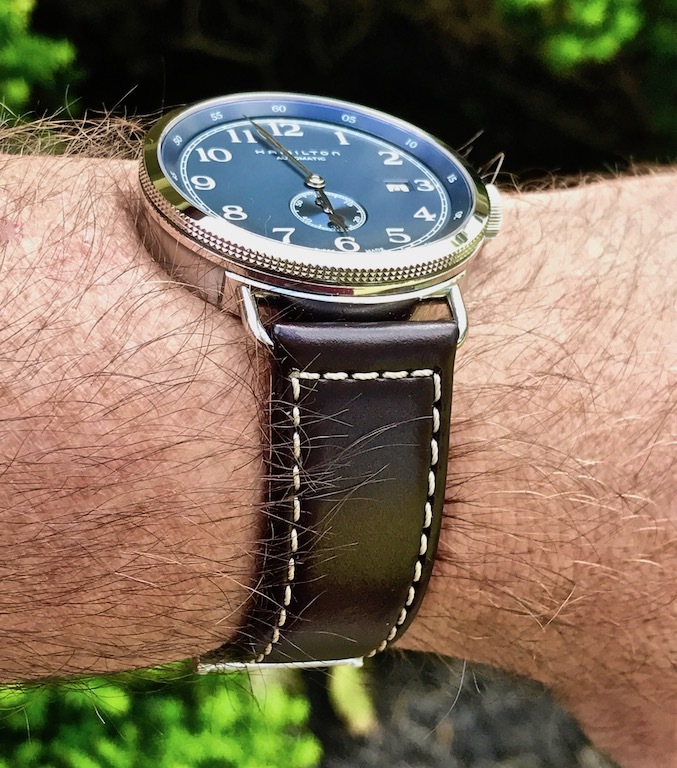 My first impressions are is the the 40mm case is at the small end for me, but as I wear it, the dial is perfectly clear, with the date and time easily readable. 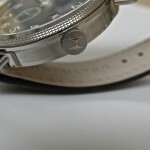 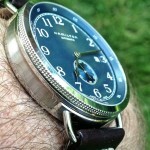 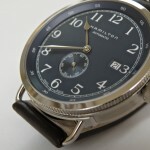 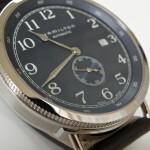 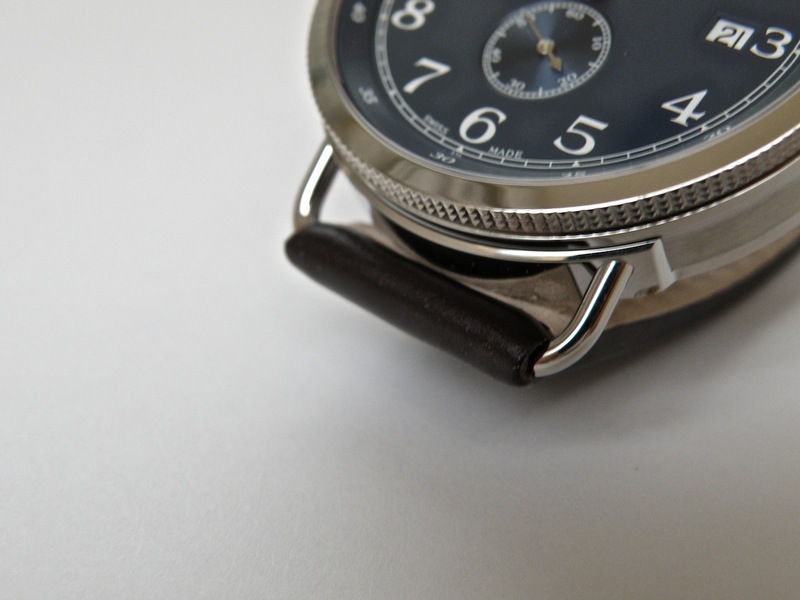 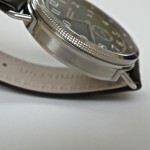 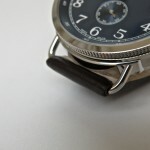 The decorated bezel is a nice touch and I like the retro look of the lugs which holds the straps. 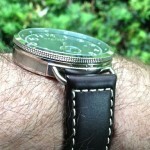 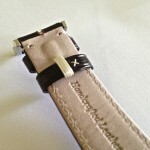 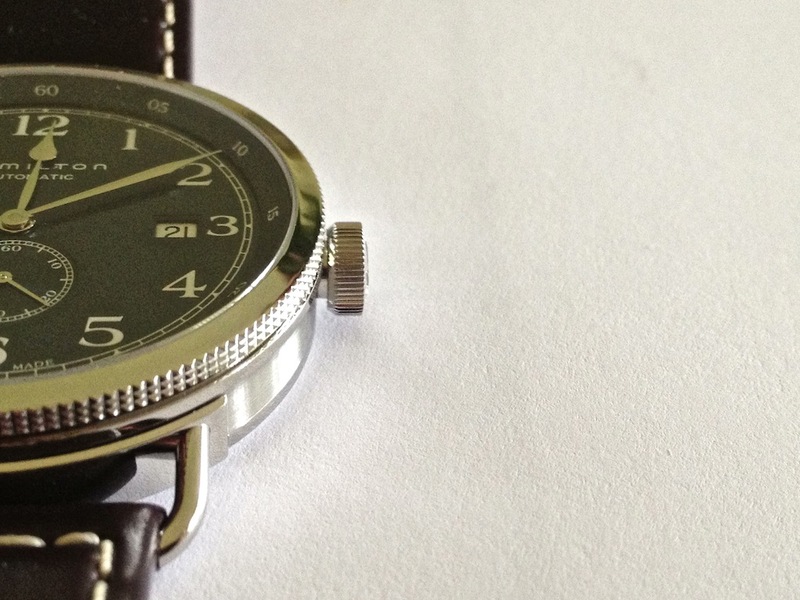 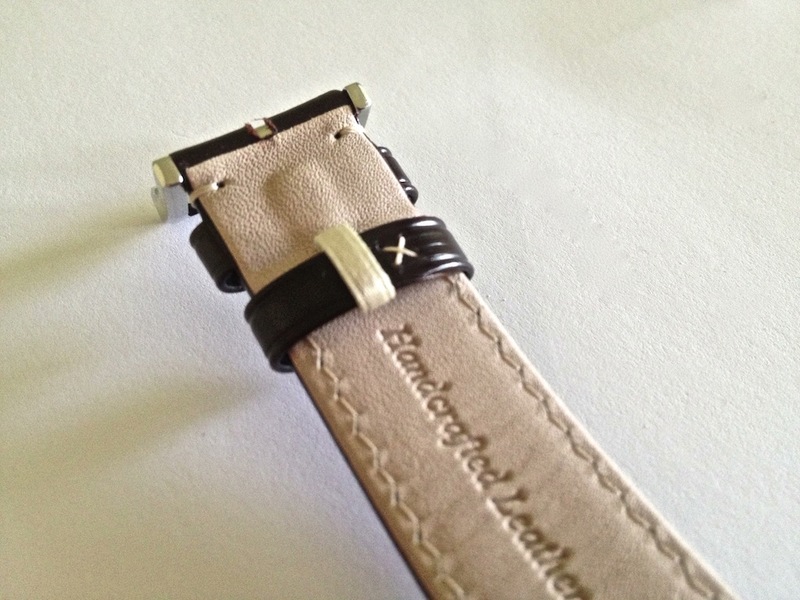 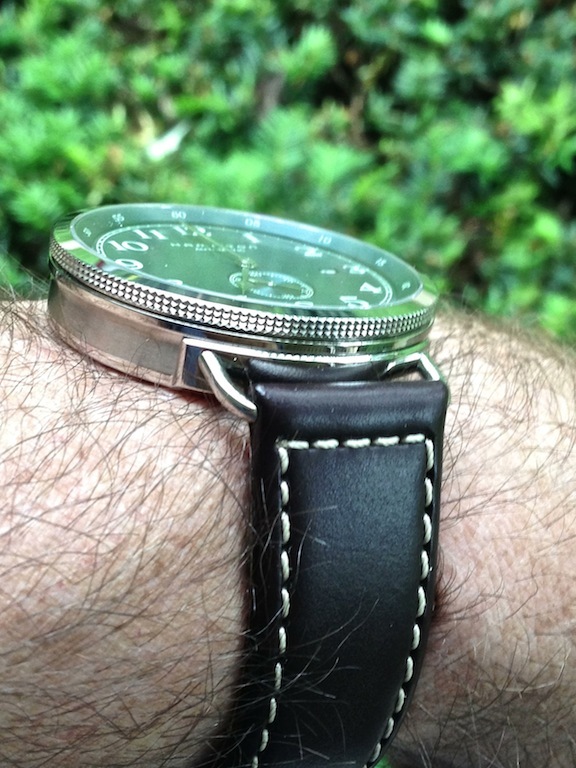 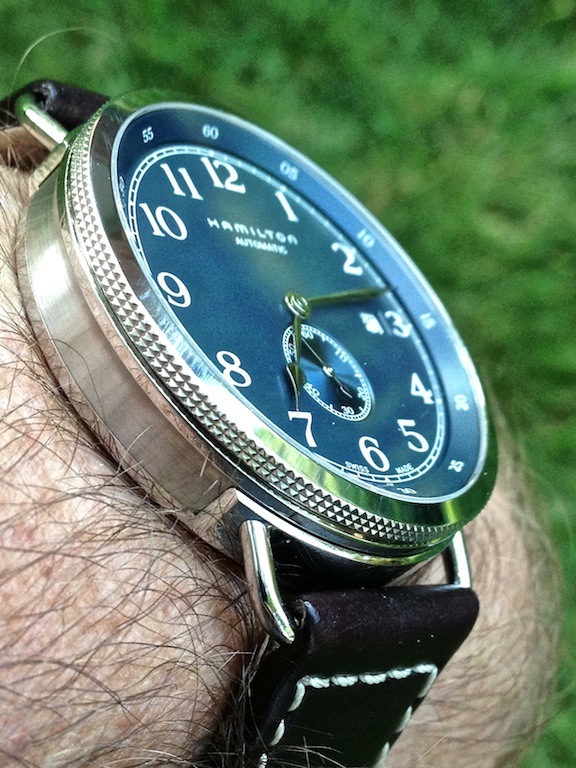 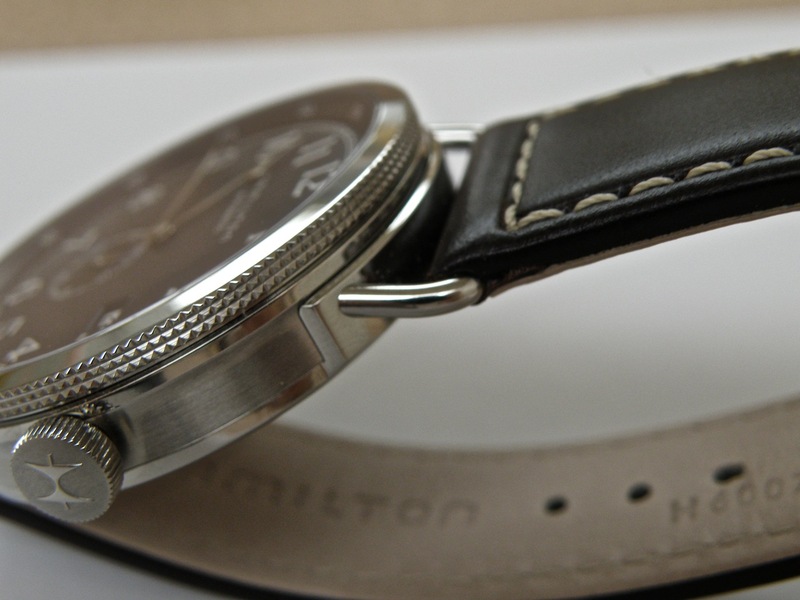 The leather strap seems stiff, but other straps have seemed so at first but have become softer over time.